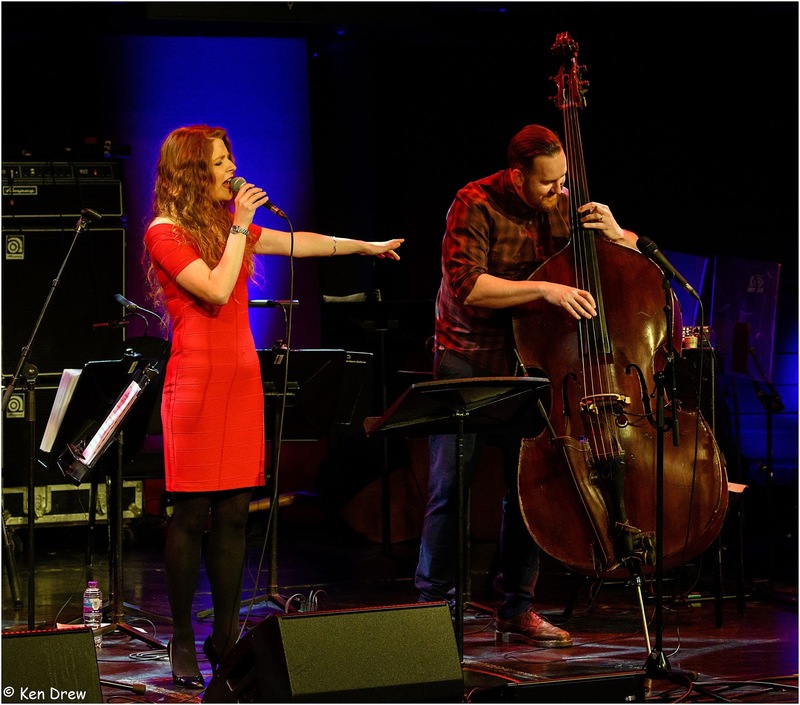 bebop spoken here: GIJF Day 3: Sheila Jordan with the Pete Churchill Trio & RNS string quartet/ Zoe Gilby & Andy Champion – Sage Gateshead, April 8. 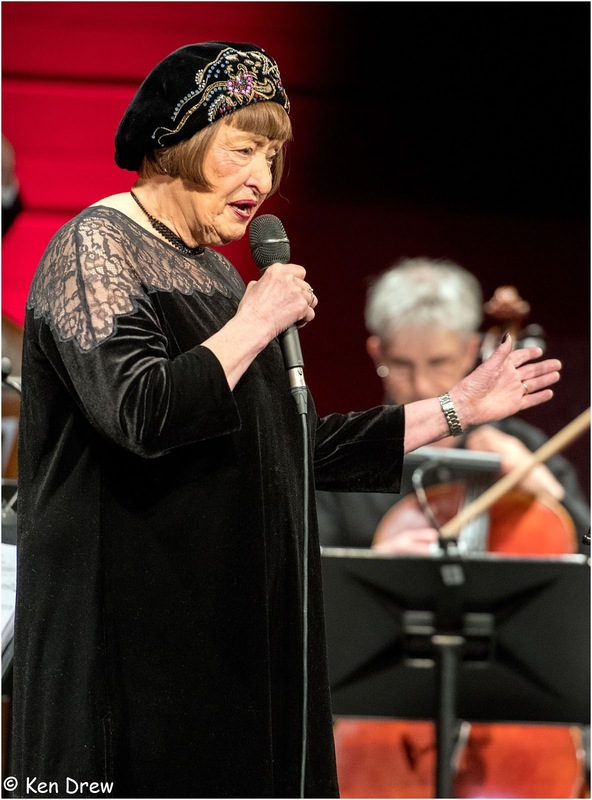 GIJF Day 3: Sheila Jordan with the Pete Churchill Trio & RNS string quartet/ Zoe Gilby & Andy Champion – Sage Gateshead, April 8. 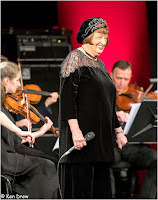 (Review by Ann Alex pictured w. Sheila Jordan/On stage photos courtesy of Ken Drew) anyone who didn’t thoroughly enjoy this concert should see a doctor urgently! This will take some beating not to turn out to be my Gig of the Year. Not only is Sheila Jordan a superb interpreter of jazz songs, especially bebop style, but she is a totally entertaining raconteur. If she didn’t do music, she could have earned her living as a comedienne and a very charming one. And the trio played along well ('I’d like you for my son’) said Sheila to Pete Churchill at one point, complemented by appropriately effective arrangements from the strings on some of the songs. All Or Nothing At All opened the set, with solos from both the piano and the quartet, then a song new to me, My Haunted Heart, followed by Sail Away, with a long flowing piano break, and Pete Churchill working hard as he had to conduct the quartet as well as playing. Don’t Give Up was followed by a song I hardly recognised because Sheila made it so much her own. It turned out to be a rather moving version of Look For The Silver Lining, a grand way to round off the first half. The second half opened with How Deep Is The Ocean, and a chance for piano, quartet, and Sheila herself to conduct a round of 4’s. Then Sheila humorously told us about how, aged 8, she had to be rescued by a passing stranger when her brother tried to drown her. The whole performance was peppered by lively stories from our singer’s life. She first heard the music of Charlie Parker when she was in her teens and was immediately hooked on Bebop. She told us how she had to register for something official, and when she gave her profession as ‘singer’ they told her that that wasn’t a profession, they meant doctor or lawyer. They obviously hadn’t heard her sing. The songs and stories continued, I Concentrate On You; Inchworm, paired with The Caterpillar Song; then the amusing Dat Dere, a song about a child asking lots of questions. Autumn In New York was introduced as a tribute to remember 9/11, ‘when we were so brave’ said Sheila. 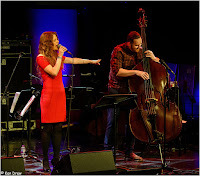 Next came a bebop song which I think was an original by our singer; then What’ll I Do; and a call and response duet with Pete Churchill on The Touch Of Your Lips. Then came a short account of Sheila’s life in song – how many other jazz singers would dare to do this? It was rather like the exercise that we had done in the masterclass when we had to sing a few bars about where we came from. The final song was Heart’s Desire, after which this lady wished us well, then touched her toes, before leaving the stage. Well done, at the age of 89! No time to lose, I hurried out to get my copy of the limited edition CD, which includes most of the songs we’d just heard. The concert had begun with a short set from these two well-known performers. Zoe has been inspired by the encouragement of Sheila Jordan, and Zoe herself has a natural, friendly line of chat, ‘We like to do stuff with just the two of us, it saves on petrol, we just use 1 car (or similar words), said Zoe. Nice Work if You Can Get It was the first song to a steady riff from Andy, then Weaver Of Dreams, sung to a slinky bass. Monk’s Straight No Chaser, not an easy song, but no problem to Zoe, finishing with Paul Simon’s Graceland, and a percussive bass.